How do you see the SPX closing on Monday (2/4)? Congrats to @rStock the Stockaholics Daily Stock Pick Winner for (2/1)! On to the next! 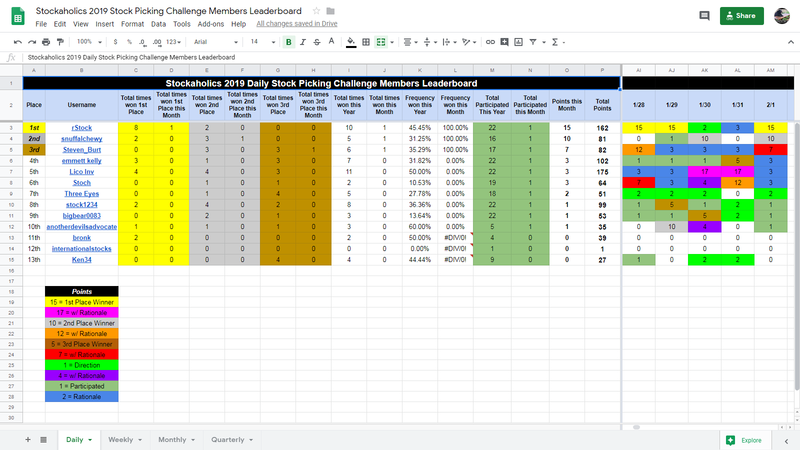 The Stockaholics Daily Stock Picking Challenge for (2/4) starts at the opening bell on Monday, February 4th, 2019. Remember...the challenge starts at the opening bell on Monday, February 4th! 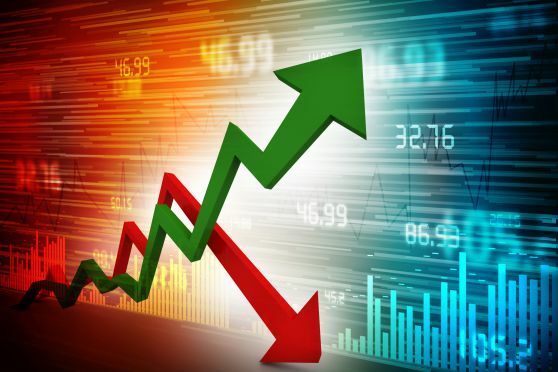 How does Stockaholics think the S&P500 will close 2/4? Stockaholics wins the daily poll tally for Friday! Credit goes to the FLAT/UP votes! 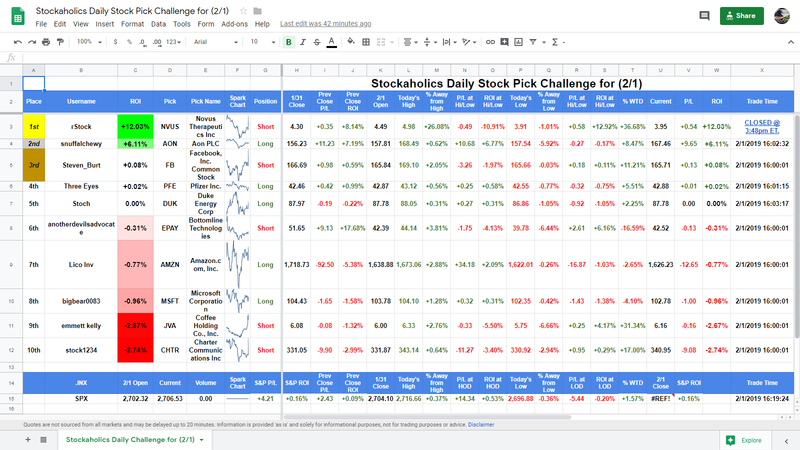 Congratulations to today's daily stock pick winner and 8th time winner of the daily stock pick challenge in 2019 (1st time winner in February!) -- @rStock! Some worthy mentions also go out to our 2nd place winner -- @snuffalchewy and 3rd place winner -- @Steven_Burt! Longest active daily poll winning streak belongs to @Lico Inv, @rStock and @stock1234 with 4 straight correct daily market calls. 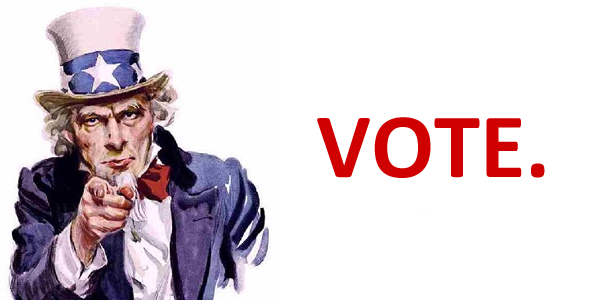 Best overall daily poll percentage leader in 2019 belongs to @stock1234 at 77.72% daily poll voting accuracy this year. Best overall daily poll percentage leader this month belongs to 7 members at 100.00% daily poll voting accuracy this month. @Lico Inv & @Stoch are still our current leaders this month with 7 points each! 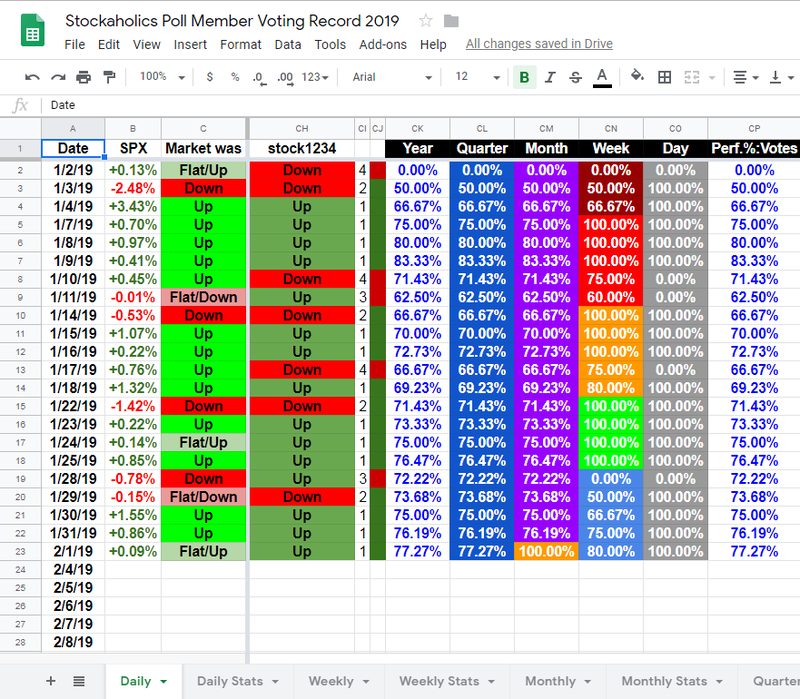 Notable mentions to @stock1234 who shares the current Stockaholics daily market direction winning streak high at 4 in a row with @rStock and @Lico Inv and the Stockaholics overall percentage leader for the year up to this point. Good job!